Join us for some cocktails as you sail Newport! 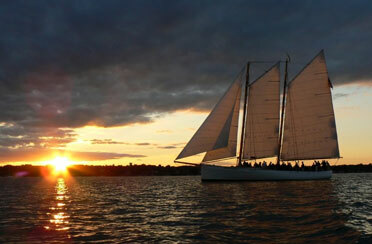 Step aboard one of our beautiful sailboats and enjoy an evening of sipping and sailing. 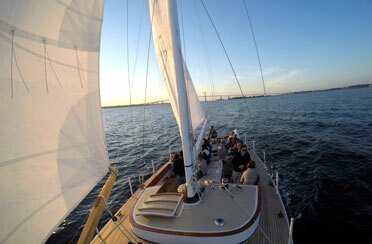 Cruise through the Newport waters with a glass of Champagne in hand and the wind in your hair. Or join us and step aboard for our Dark and Stormy Sail for the perfect Newport Sailing Cocktail Hour! Do not let the word “Dark and Stormy” turn you away as this is a famous sailor cocktail made with Dark Rum and Ginger Beer! This is the perfect before dinner activity with friends and family. 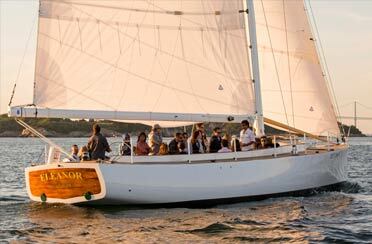 Sail into Narragansett Bay with us aboard the Schooner Adirondack II or the Sloop Eleanor for a elegant evening of sailing. 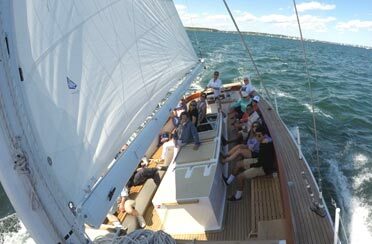 Departing from the heart of Newport Marina at Bowens Wharf we will take you sailing for a 1.5 hour cruise and bring you back to the lively evening spot of Newport RI. Grab a bite to eat at one of the local seafood restaurants right on the water! Rise and shine, you’re in Newport, RI! Start your day with a brisk, invigorating sail aboard Adirondack II. 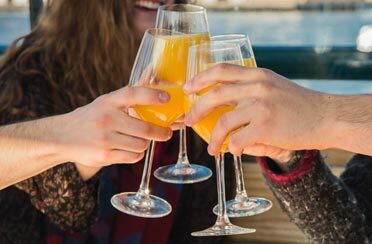 Feel free to bring a brunch on this early day sail – our crew completes your experience with perfectly poured Mimosas available for $4 each! Mimosa Morning Sails are the perfect way to see the sights of Rhode Island before hitting the beach or the many shops of Thames Street. Looking for a unique gift to give your friend or loved one? We have a variety of cruises that will make the most perfect gift.